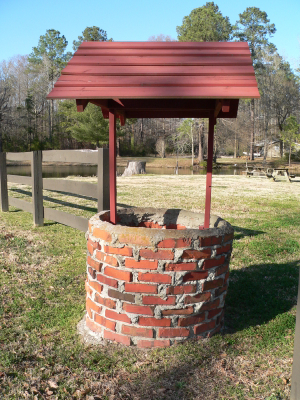 I ran into an interesting challenge with the recent sale of a house that has both a water well and septic tank. I represented the buyer on a great house: large, updated, and good location. The septic tank had been replaced and serviced only a short time prior to their offer on the house. We had the normal home inspection (which doesn’t include the water well and septic tank system) and the typical items appeared (roof, wood rot, etc.). The home seller fixed those as specified in the contract and we moved into the closing phase. The buyer had been pre-approved for an FHA loan. The paperwork was completed by the lending officer and sent to underwriting well in advance of the closing date, only to have the package returned with instructions to have the water well and septic tank system located on a survey. The survey was no problem – I advise all my buyers to get one prior to closing. The problem arose as we attempted to locate the water well and septic tank system. Much to my surprise, FHA has specific setbacks for the well from the house, septic tank and drain field! We located the septic system pretty quickly, but the well was another story – what a nightmare! It wasn’t out in the open like you might expect, but hidden under an old barrel with a flower pot on top! I never would have imagined it was under there if it hadn’t been for the help of the septic company that installed the drain system and an inspector from the water management district. To make things worse, the water well was 1’ 7” shy of the FHA required setback. And we had to delay closing to figure out how to meet FHA’s requirement. The good news is FHA will waive the setbacks based on local/state requirements and we were able to demonstrate the State of Florida eliminated the setback in 2010, so the loan was approved and we closed a week later. The lesson I learned from this is when dealing with property dependent on a water well and septic tank system, it is wise to get the survey early in the process before the loan is sent to underwriting. That way you can avoid the stress and resolve any setback issues for the water well and septic tank and enable the closing to occur on time.